Landing Pages = Target Marketing, don't over use them. Ask e2-TS.com for help deploying them. To begin with you all know I own an SEO company; sometimes I think we forget the basics. 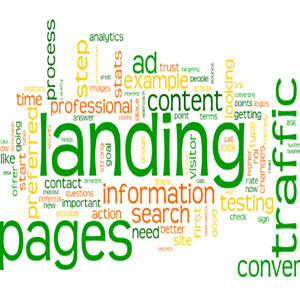 Today’s blog is about landing pages. If you’re at all interested in lead generation and inbound marketing, you should deploy at lease one landing page. This page is literally where visitors “land” when they follow one of your calls-to-action (CTAs). You can put CTAs anywhere – at the end of your blog posts, on social media, and throughout your website – to get visitors to grab a deal or offer in exchange for their contact information. In essence, your CTA hooks the reader, and your landing page is where they are converted into a real lead. By harvesting information like names, emails, phone numbers, etc. However, a landing page is valuable for more than just lead conversion, though. The value of a landing page is not limited to one benefit. There are multiple reasons why you should create one or more. Track the metrics of your pages and see how well your campaigns perform over time, how many visitors convert to leads, and more. This is great information to apply toward your future marketing endeavors. With these tools, you collect information about your visitors to help you understand your audience. For example, What types of people are attracted to your offers? 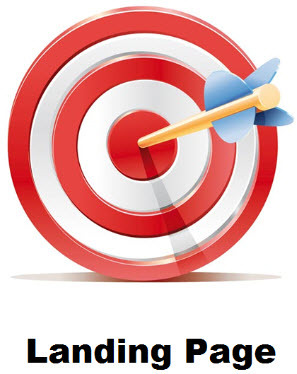 This lets you more easily tailor future offers to attract the right audience. Landing pages can be sources of engaging content you can use liberally to promote your online presence. Link to them on social media, email campaigns, ads, and more. You can also keyword optimize them so they can be found through an organic search. To begin to sum it up, if your landing page is convincing enough, you will create a valuable lead conversion tool. As such, don’t discount this is only a small addition to your marketing arsenal. I will stick to my original statement “sometimes we need to get back to basics” Landing Pages can be a precious tool, but they should be used sparingly, to make them useful. You all know I am a Sun Tzu follower. In the “art of war,” he expresses the idea, of only deploying tools economically. Treat landing pages with the same respect. Our users will become impatient and annoyed if we hit them too hard with landing page after landing page. And always remember to use e2-Total Solutions to help craft a diplomatic landing page strategy.